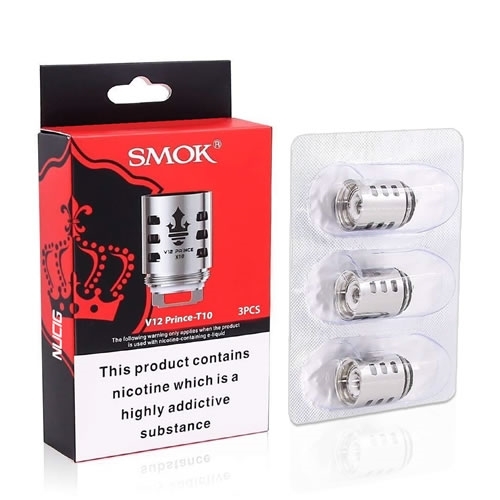 The Smok TFV12 Prince T10 coils, are replacement coils for the Smok TFV12 Prince Tanks. 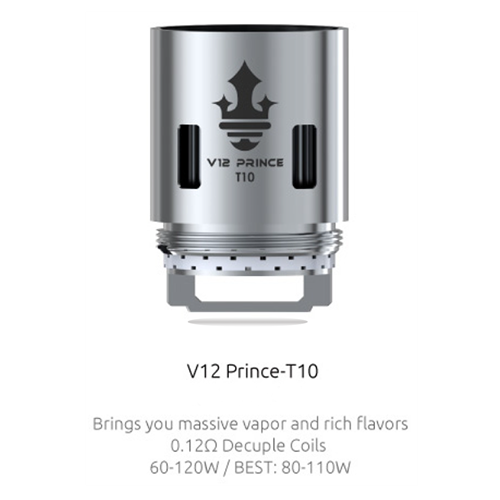 Available in resistance of 0.12 ohms. 60W-120W (Best 80W-110W).